Sonya first came to CCX news as a freelance reporter in 2011. She became a permanent employee in March 2013. Before coming to CCX, Sonya worked at WCCO-TV for over 15 years, as a producer. She’s also worked at KARE-11, Black Entertainment Television, and WRC-TV in Washington DC. She graduated at the University of Maryland, College Park with a BS in Broadcast Journalism. Sonya is a military brat. She has lived all over the world, including Italy and the Netherlands. As a child, she spoke fluent Dutch. She calls Clinton, Maryland home. When she’s not cheering for her three children at their basketball, baseball, and softball games, she likes to garden, read and run outside. She’s currently training for her third half marathon. 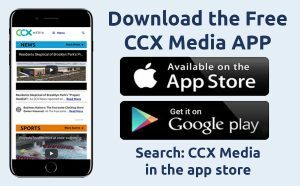 Sonya is proud to be a member of the CCX Media. If you have any story ideas, you can reach her at sgoins@ccxmedia.org, twitter: sonyagoins1, Facebook: Sonya Goins Channel 12.